Although copyright is often overlooked in many duplication projects, it is wise to consider the subject of ownership from the very beginning. Copyright laws exist to provide certain protections to those who create original designs, compositions, and other artistic works. Copyright differs from other forms of protection like a patent or a trademark in that it does not cover specific ideas and information, but rather the way they are expressed. It is also worth noting that copyright laws are standardized on an international level and have been adopted by over 150 countries worldwide. They are not specific to the country in which the work originated. So, what is copyright law? Copyright laws grant exclusive rights to the copyright holder, including control over reproduction of the work, importation and exportation, the creation of derivative works, the authority to sell or assign ownership to others, the public display and performance of, and the transmission of a work by radio or video. Because they are effective for extended periods of time (typically 95 years, or 70 years after the author’s death), permission will be needed to be obtained for almost all works after 1924. Laws regarding the copyright of musical works are very specific in regard to covering or rearranging a work: permission from the author must always be obtained first. The same is applicable for music that uses samples of another work, even if the duration is 30 seconds or less. Violations are taken very seriously. Additionally, these regulations do not permit reproduction of a copyrighted work, even if the work was obtained legally. Purchasing a record from a music store does not grant you license to duplicate the work or create a derivative. This same principle can is applied to other situations, such as the unlicensed music in a wedding video. As a content producer, there are several steps that can be taken to protect the intellectual property rights to a work. First, be aware that works are copyrighted as soon as they are recorded or expressed in a tangible format. A declaration of copyright is recommended but is not required on works created after 1989. The ideal method is to register a work with the United States Copyright Office through the Library of Congress. This is accomplished by filling out a brief form and paying a small fee. Perhaps the most difficult aspect of this principle is enforcement. In pursuing legal action, the defendant must prove that the accused has infringed on their copyright, whether knowingly or unknowingly. This is especially difficult in this digital age where new technologies are adopted at a faster rate than the laws governing their use. In some instances, laws may even be adopted that infringe upon existing rights such as fair use. However, most cases are civil suits and are typically settled in district courts. 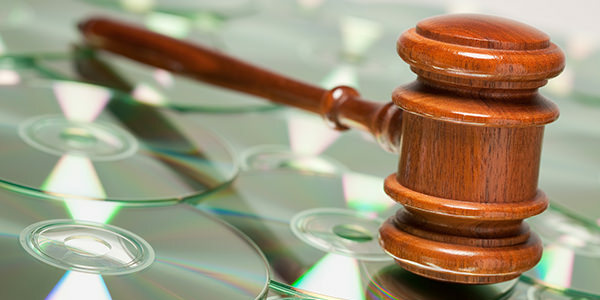 Many rulings have found that ignorance of copyright laws is no excuse for violation. Therefore, the best advice is to be prepared and consult an expert wherever necessary.